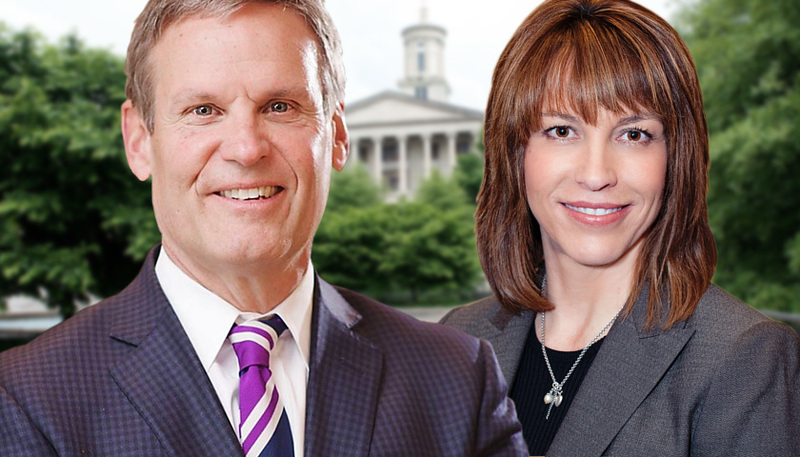 Governor-elect Bill Lee has continued his preference for appointing those closely affiliated to either liberals or Bill Haslam to top positions in his Administration. His latest selection, Christi Branscom of Knoxville, whom he named to his cabinet on Thursday as head of the Department of General Services, fills both boxes. Branscom spent five and a half years as the Deputy Mayor and Chief Operating Officer for extreme liberal Knoxville Mayor Madeline Rogero, during which time Rogero opposed 2d Amendment rights, advocated strongly for LGBTQ issues (including vocal opposition to legislation designed to protect women and girls from men entering their bathrooms and locker rooms), and actively supported the anti-Trump “Women’s March” protests, including speaking at the January 2018 event in Knoxville. Rogero is not new to liberal activism. During the mid-1970s, Rogero worked as an organizer for César Chávez’s United Farm Workers, a labor union that advocated for migrant farm workers. More recently, the pro-abortion community organizer was a Hillary Clinton delegate to the 2016 Democratic Party Convention and has embraced sanctuary city “lite” policies. Her chief Deputy for five years is now the choice of “conservative Christian” Bill Lee as Commissioner of General Services. It is not clear whether Branscom’s firm has any direct state contracts (at this point) nor whether they will be barred from bidding directly or participating as a vendor on state contracts while Branscom is Commissioner. Branscom spearheaded several development projects for the City of Knoxville as Rogero’s Deputy, including negotiating the deal to transfer ownership of Lakeshore Park from the state to the city and preparing it for development. Among the projects that Partners specifically highlights on its website is the work they did on Lakeshore Park. Tennessee Governor Bill Haslam reportedly pushed Lee to select Branscom for her position. (In fact, the same PR firm represents the Governor’s family business – Pilot/Flying J – and Partners/Grace Construction.) 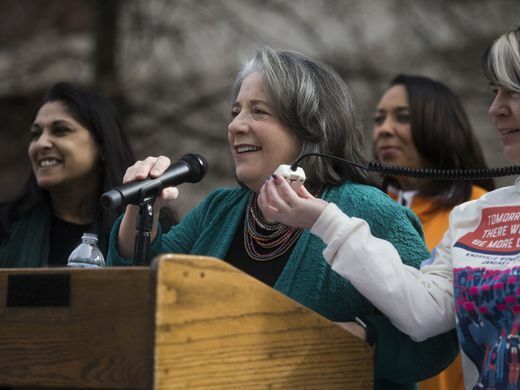 Rogero narrowly lost the Knoxville Mayors race to Haslam when he was first elected, after which he appointed her as Community Development Director in his Administration and groomed her to follow as his successor, which she did. Branscom was considering a race for Mayor herself, as Rogero is term limited, but realized that she couldn’t pursue the position since she didn’t live in the city. Conservative Republicans who formed the base that won Lee the Republican Primary for Governor are already expressing concerns about his personnel choices as he prepares to take office. The Branscom appointment is unlikely to alleviate those worries. Photo “Christi Branscom” by knoxvilletn.gov and “Bill Lee” is by Bill Lee. Another disappointment. Bill Lee will have trouble getting re-elected. Mary, Mary this is Tennessee! More importantly, we are talking the Republican Party of Tennessee. Not since the Romanoff’s held office in St. Petersburg were a group holding high office more secure in their position. Republicans are often shortsighted and uninformed, but by gosh they are loyal! No, we are stuck with Lee for eight long years. The only thing we can hope for as a result of our not letting those conservatives who decided to vote for a No Record Candidate like Lee for the highest office in this state is for them to see how foolish they were in the hopes that they NEVER, EVER do something like that again. I live in Knoxville and we receive no information from the captive media. Only those who know others in the government know of her despicable character. Thank you Tennessee star. This is the only news site that provides us with information about news in TN. Don’t be shy conservatives! We all make mistakes. As each of you who were fooled into voting for No Record Candidate Bill Lee realize what a terrible mistake you made and are ready to promise the rest of us that you Won’t Be Fooled Again into making the same mistake, please let us know. Looks like we have Haslam all over again. Only this time Lee, the front man, will take the heat. A true conservative would never put in a person like this in a cabinet position.